August | 2014 | Careerschap | The musings of a careers professional in the higher education sector. Beliefs, mythbusting and the role of careers work. Myths can useful, for example when I was very young and getting into mischief I was told Santa would find out and I wouldn’t be getting any presents. So you get to 35 😉 and realise it was all a big myth that was said to control my poor behaviour. Myths can also make for pretty cool TV too. The geek in me loves the science based mythbuster shows taken to the extreme to prove or disprove. Top Gear do them as well, I particularly remember the episode where Hammond puts a hundred or so mobile phones in a petrol fumed filled caravan and then phones them all (well gets his people to) to see if there really is a fire risk (there wasn’t, but I think they blew up the caravan anyway which is fair enough). Yet if you go to a petrol station you’ll still see signs up despite no hard evidence of a fire risk. If they were serious they would ban polyester football shirts at filling stations because the electric shocks I have given myself over the years when driving in one of those has often made me feel like a human lightening rod. So myths or false beliefs have their place but in the world of careers we come across dodgy beliefs all the time that can actually be destructive and counter productive. You can never underestimate the power of beliefs as both a force for good and bad in a career. For example, inaccurate beliefs can drive behaviour and actions that makes sense to that person but may hinder or prevent the achievement of their career goals. Conversely accurate beliefs about one’s self and the world around us are much more likely to result in the achievement of career goals. The formation of beliefs is a good starting point when trying to make sense of a client’s belief. Krumbolz’s Social Learning Theory of Career Decision Making (SLTCDM) and Career Belief Inventory Test represent some of the work he has undertaken on the subject about how and when beliefs are formed. SLTCDM focuses on four originating factors of career choice that individual’s exercises which are influential in why they may end up in certain careers, change direction and offer alternate views of preferences at different points in their life. Task Approach Skills i.e habits formed as a result of interaction between 1,2 and 3. Krumboltz concluded that the interaction of these four factors result in the formation of correct and incorrect beliefs and generalisations that influence career behaviour and decisions. So for example, procrastinate in making a career decision in the belief that the decision will inevitably be the wrong one. But at its most fundamental level SLTCDM is about the cognitive processing of experiences and the factors/influences affecting belief formation. There is an awful lot of literature and reading on belief as a psychological phenomenon but a really basic starting point from the reading I have done is to think of beliefs as either core beliefs (also called occurrent beliefs that are active in the brain and form a central part of how we view ourselves and the world around us) or dispositional beliefs which aren’t being considered by our minds but which may become occurrent or core beliefs should they be recalled in some way. This makes sense, as how many of our beliefs are truly active and operating at the forefront of our mind as we go about our daily lives? So beliefs can come from a variety of places and as we know from our own lives are powerful drivers of personality and behaviours. So where this all began was me thinking about some of the common beliefs or myths that I have heard undergraduates I work with use in guidance interviews and workshops and some of the advice myself and colleagues have given to challenge and alter their perception. This then turned into a workshop idea that I will trial this year but I’d be interested to hear thoughts on whether my belief that these beliefs students have are fairly universal or not! So in the session I will identify eight myths and explain what they are and why they are wrong. Here’s a brief outline. Myth 1: Your career is just your paid work. Everything else is something else. Reality: Our career is far broader. Includes work, training, unemployment, study. Your meaning of career is unique to you. Career Metaphors can be useful. Myth 2: A Degree guarantees me a good. The focus should be on academic work. This will give me the optimal chance of finding a good job. A 1st or 2:1 is my passport and speaks for itself. Reality: A degree is great currency, but there is a lot of currency out there. Here I throw some stats in (below) around grad employment rates and degree holder numbers. I also mention employability, career management and recruitability (convincing an employer and understanding recruitment proceeses) as being equally important. Myth 3: One careers aptpointment and I’m sorted! Typical situation of seeing a final year student who has visited our service for the first time. Reality: Career management requires time and effort. Try and correlate and factor the thousands of hours spent studying for three years to the time spent actively managing their career. Myth 4: You need a perfect career plan. You then need this plan before being able to “begin”. This belief is still based on the matching paradigm and does not account for happenstance, chaos or developmentalism. Reality: We need a Career TomTom! Journeys of old relied on maps with as much detail as possible. The more detail the better. The journey was known from the start between two fixed points (matching paradigm). However, the labour market now requires flexibility and adaptation for the developing technological world. The perfect plan is not the same as planning. Students need to continually refine and adapt their journey as they respond to unknown variables (roadblocks). A career sat nav does this far better than a detailed paper map. The Career TomTom actually refers to Career Management Skills. Myth 5: The best career decision comes from the best match. 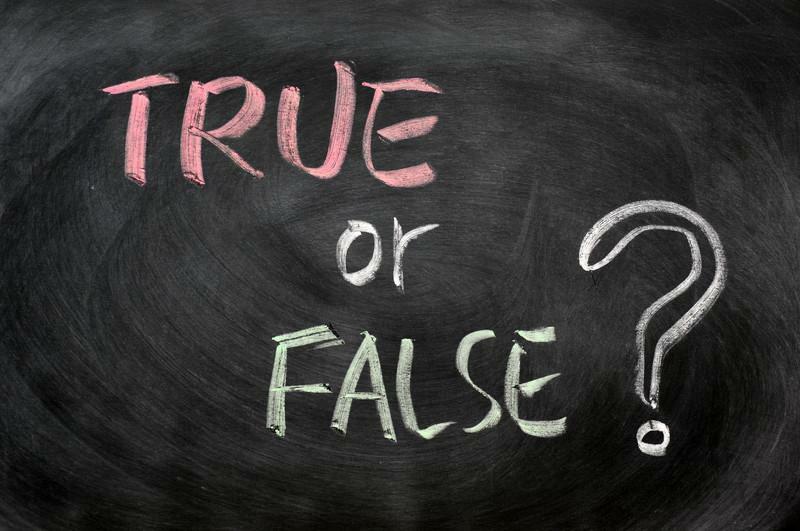 Myth 6: Common misconception from students that their career options and choices are hugely limited by their degree. For example, LLB students can only work in the legal sector. Or B’Ed students must now teach. Myth 7: Most graduate jobs are through large corporate schemes. Students often covet and think of larger organisations as the preferred or aspirational route. The fact remains this is the most difficult and not always beneficial path for every student. Myth 8: We just do CVs. I’ve heard this a lot when I’ve spoken to careers people from other unis at events. Reality: We do more, much more! We need to explain and promote and our service offer and that we are not just here when the student perceives a problem. Use our service as a careers health check to discuss ideas or get a second opinion. So there we have it, I’m still tweeking but I’m looking forward to running this session and creating open discussion with students on some of the common myths I have come across and the contrary arguments that explain why the reality may be very different.